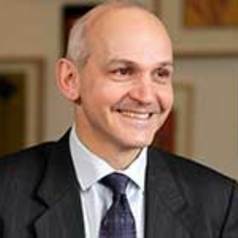 Professor McKellar joined the University of Hertfordshire on 1 January 2011. As Vice-Chancellor and Chief Executive, his responsibilities include the day-to-day running of the institution, the delivery of strategic and operational plans, performance, its internal structure and organisation and its interface with external bodies and agencies. Having graduated from Glasgow University Veterinary School in 1981, Professor McKellar went on to gain his PhD in Veterinary Parasitology in 1984 and was appointed to a lectureship at the Veterinary School in the same year. He became Head of the Veterinary Pharmacology Department in 1990 and was awarded a personal professorship by the University of Glasgow in 1996. In August 1997 Professor McKellar took up the post of Scientific Director of Moredun Research Institute and Chief Executive of the Moredun Foundation. He became a Doctor of Veterinary Medicine (DVM) with Honours in 2002 and was elected Fellow of the Institute of Biology in 2001, Fellow of the Royal Agricultural Societies in 2002 and Fellow of the Royal Society of Edinburgh in 2003. In 2004, Professor McKellar was appointed Principal of The Royal Veterinary College of the University of London, the first and largest institution of its kind in the UK which was identified as the top English veterinary school in the 2008 Research Assessment Exercise. He is a member of the Department for the Environment Food and Rural Affairs Science Advisory Council, Chair of the Biological and Biotechnological Research Council Animal Research Club and a member of the Hertfordshire Local Enterprise Partnership. Professor McKellar was made a Commander of the Order of the British Empire (CBE) in 2011 for services to science. He was a distinguished researcher with interests in the pharmacology of anti-infective and anti-inflammatory drugs in domestic animals.